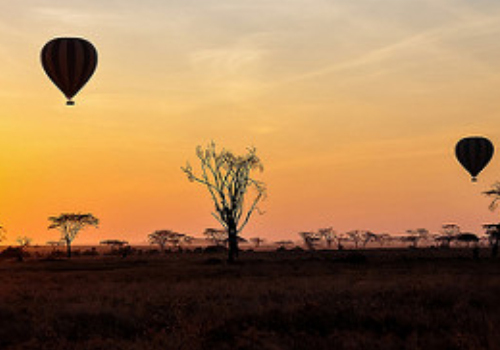 This is perhaps the most spectacular balloon flight you will ever experience in the whole world as you glide over the vast African Serengeti plains right above a variety of various African wildlife! This great safari that takes place within the seemingly endless plains of the Serengeti begins at 5:00 am when you are collected from your camp or lodge (could be Central Serengeti Lodge) and you will drive to a site adjacent to the impressive Maasai Kopjes. There you will be received by your balloon pilot who will brief you about this lifetime safari within the heights of Africa. At day break, you will set off and begin to rise with the rising of the gorgeous African Sun-rays as they spread out over these beautiful plains. You will begin floating following the direction of the wind, while the professional pilot will carefully control the altitude to which the balloon floats. At times, you may find yourselves floating at the height of tree-tops, and other times even go lower to ensure that you have a wonderful sight of the wildlife beneath you. You may even reach an altitude of 1000’ to enable marvel at the vastness and great scenery of the Serengeti plains. Because now and again the pilot has to refill the balloon with heat, this tranquil ride will be interrupted with strong whispers of the burners. But however, this safari is very peaceful and quite with just sounds from the surrounding environment. The flight goes one for approximately one hour basing on the weather conditions, after which you will finally begin to descend. On landing this great adventure will be celebrated with opening of a Champaign bottle. Your breakfast will also be in its final stages of preparation. After the Champaign celebrations, you will settle for a bush breakfast of an entirely English breakfast which would have been prepared by a professional chef on an open fire. This will be served on tables sheltered under one of the characteristic umbrella trees right within the Serengeti. The table is laid with good quality cutlery and certainly you will enjoy this breakfast as the aroma of coffee or tea fills this beautiful area. This breakfast will be comprised of fresh fruits, freshly-baked bread, an English breakfast of sausages, mushrooms, eggs, bacon and tomatoes. This will be served by a professional steward. This Safari will be concluded with the awarding of certificates to confirm your participation in this great balloon safari and this will be done immediately after breakfast. After this you will be transferred back to your camp or Central Serengeti Lodge and from there you can carry on with your onward safari adventures. 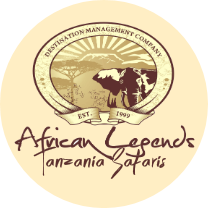 Because the safari begins early in the morning and ends early, you can combine it with a tour or game drive to any of the National Parks in the Northern Tanzania Safari Circuit such as Lake Manyara, the Ngorongoro Crater, Tarangire or even the Serengeti itself.